What an intense year! We threw a huge amount of unique and challenging special events and learned a ton in the process. 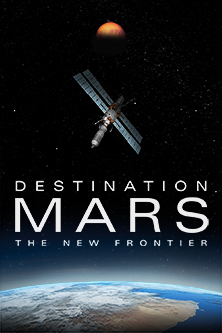 Currently we are deep in production of our new fulldome show about human spaceflight to Mars, which we received a NASA grant to create. But before jumping into this new year I’d like to look back at 2017 and share what we’ve been up to. 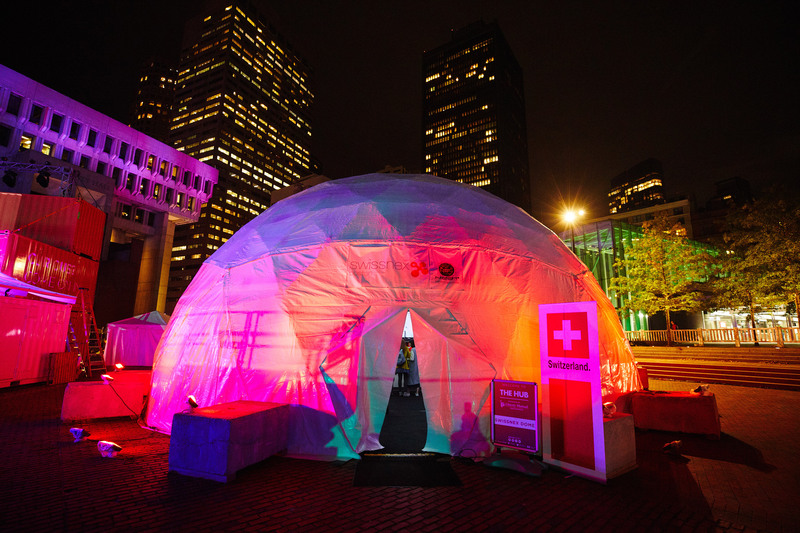 We collaborated with ImprovBoston to bring comedians into the planetarium and create an improvised comedy show. This was exciting for both the comedians and for us since it was a meeting of minds of how to best utilize the immersive environment and what custom visuals would work best in the context of their improv games. 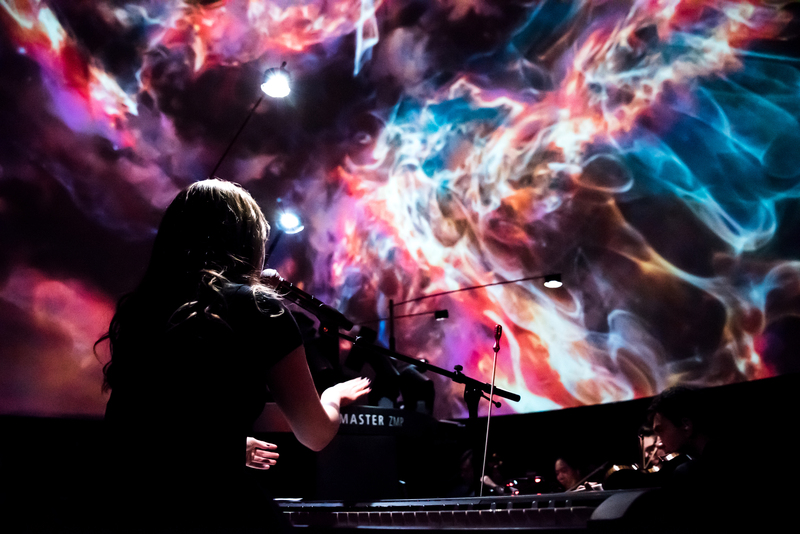 Invited several different local bands of Boston to perform live in the planetarium. This was fun since they would give us the setlist a few weeks prior to the show and we would create the dome visuals to match the hit-points of the song. 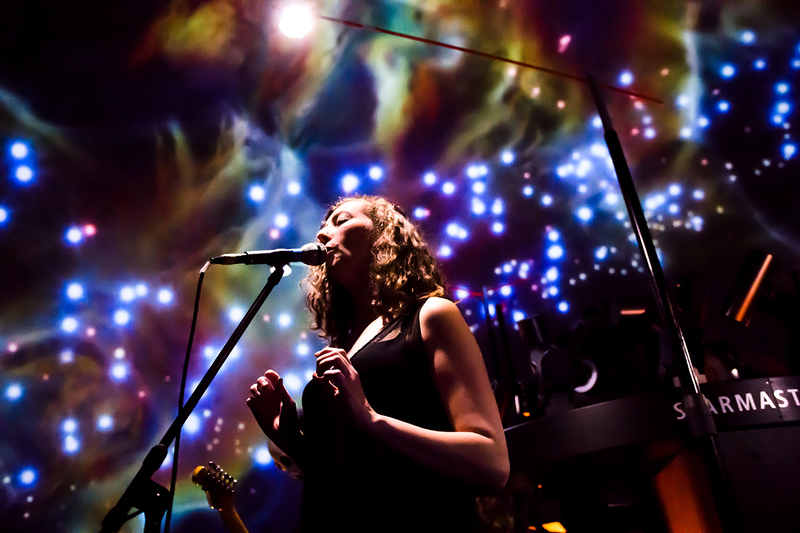 Having live music in the planetarium brings a untamed energy that is exhilarating to experience. We worked with Walter Sickert & the Army of Broken Toys, Hallelujah the Hills, and Niki Luparelli & the Golddiggers. 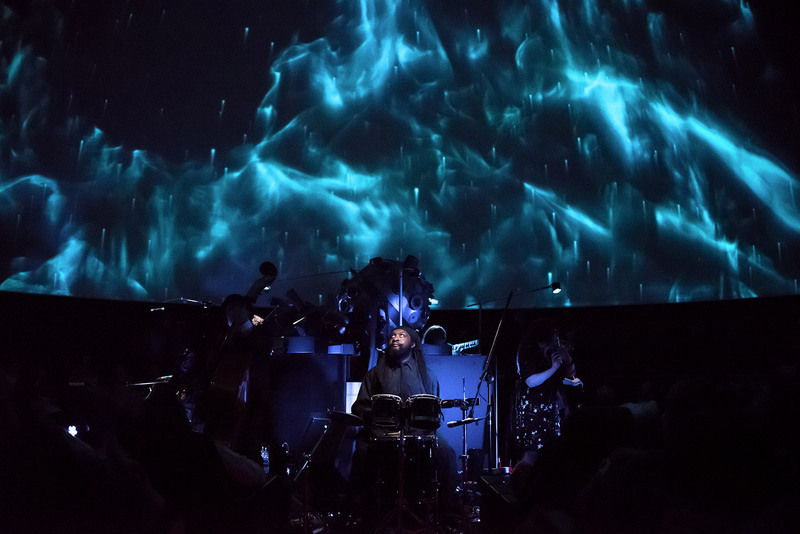 Below is a 360 music video we created since we loved the Walter Sickert live show so much. Screened classic sci-fi films such as Alien (Marathon), Independence Day, Starship Troopers, Back to the Future (Marathon), Galaxy Quest, and Star Wars: The Force Awakens. 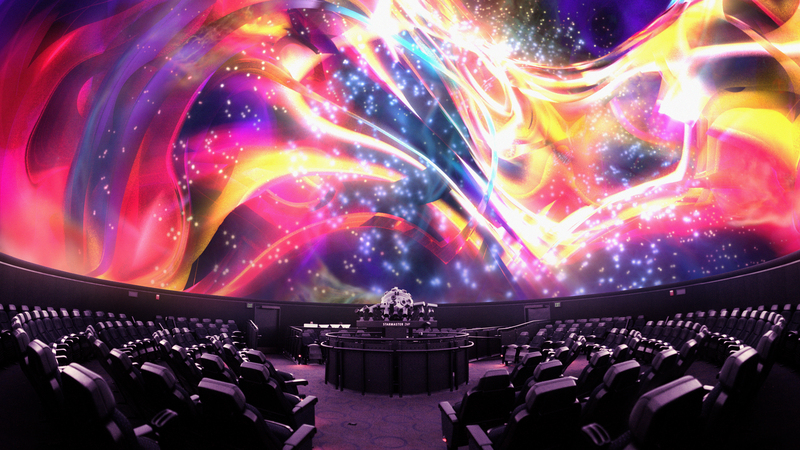 We projected these movies on a portion of the dome, added stars in the background, and used the powerful planetarium speaker system. Brought in Wes Hazard to throw The Big Quiz Thing, a fresh approach to trivia. It’s a crazy mix of pop culture, music, history, and sports to the completely indefinable, with offbeat trivia puzzles. 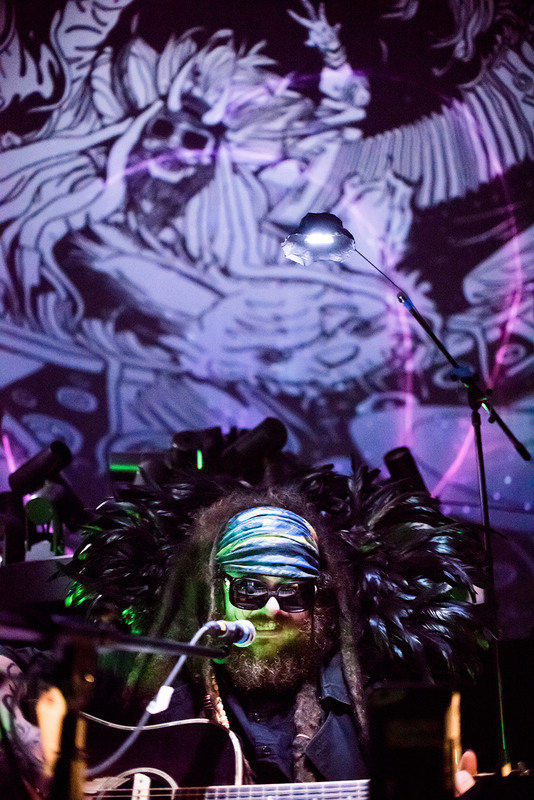 We continued the SubSpace series and created some brand new music show experiences dedicated to popular music artists. In the spotlight this summer was Rihanna, Coldplay, and Justin Timberlake. 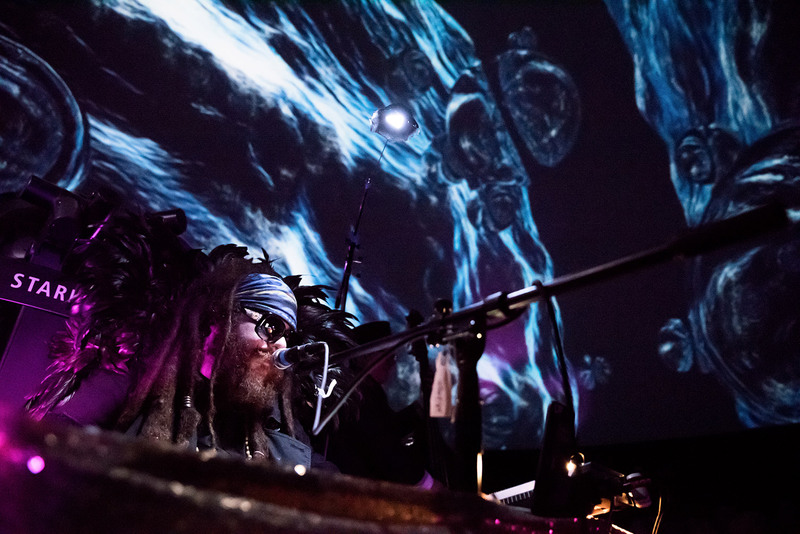 (In 2016 we created SubSpace music shows featuring David Bowie, Prince, Björk, Beyoncé, Radiohead, Tom Waits, Lady Gaga.) These shows are now being cycled into our regular weekend programming. 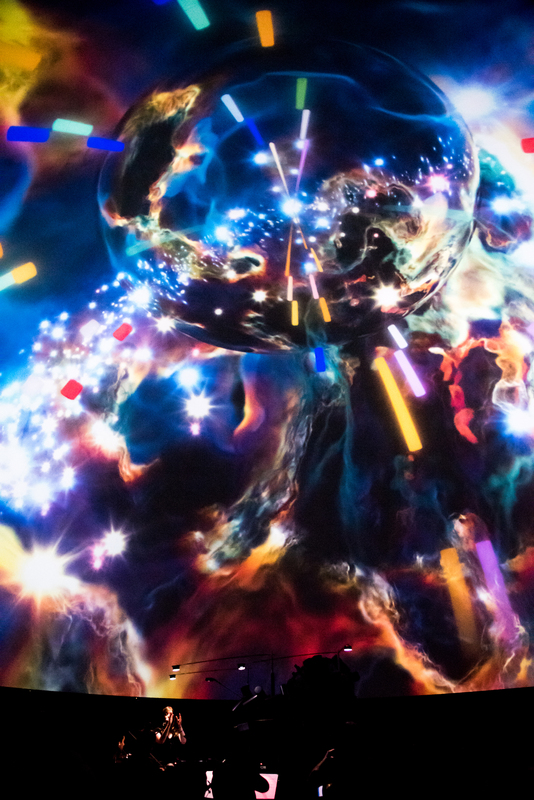 We collected some of our favorite astronomy visuals into a relaxing experience, curated an ambient playlist, and then threw a Cosmic Meditation session. Screened several shorts including Waiting Far Away, Cycle, and Uncharted Domain. We also had a discussion session called Making a Live Storytelling Show for a Planetarium and then screened three shorts from Stories Under the Stars 2016: Light in the Dark. 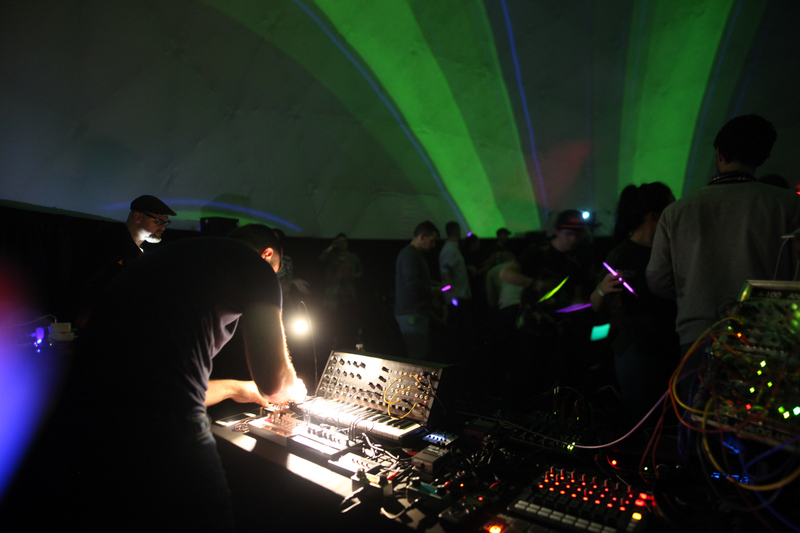 I also threw an event on my own called Modulate Live where we transformed the dome into an immersive dance party! 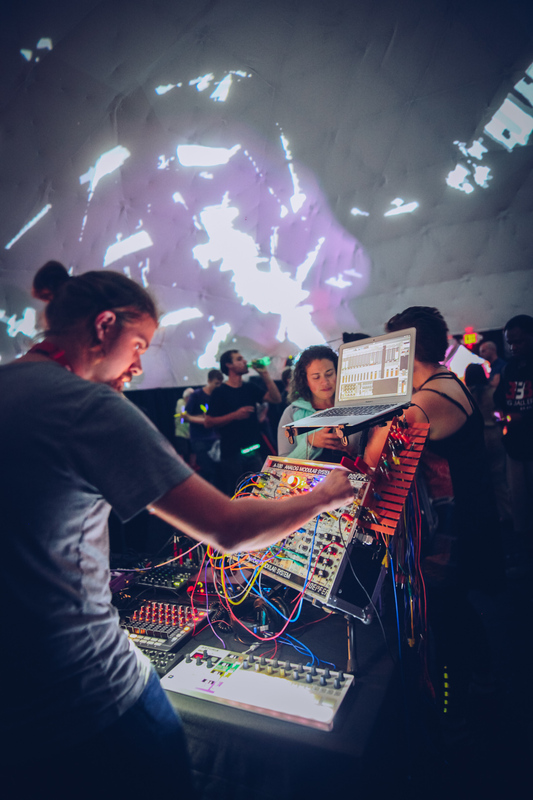 The event featured live improvised experimental techno performances by Abacus of Doom and Kip Schwinger on modular synthesizers. 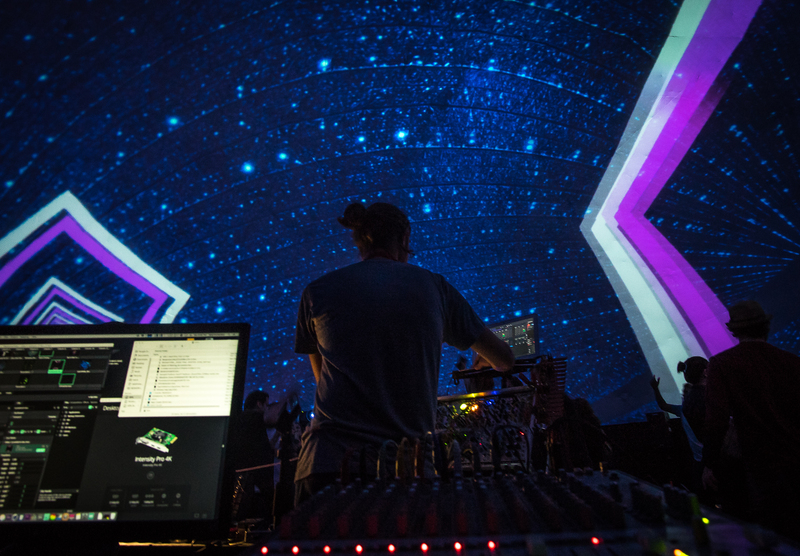 The dome visuals were created live by Anagram using analog+digital hardware. 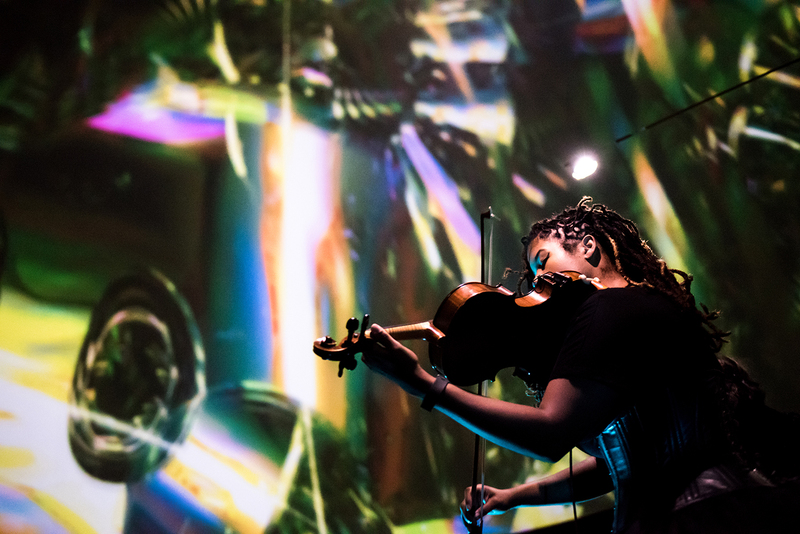 There is a delicate artistry in generative visuals responding instantly to the music and it was incredible to experience it immersively. 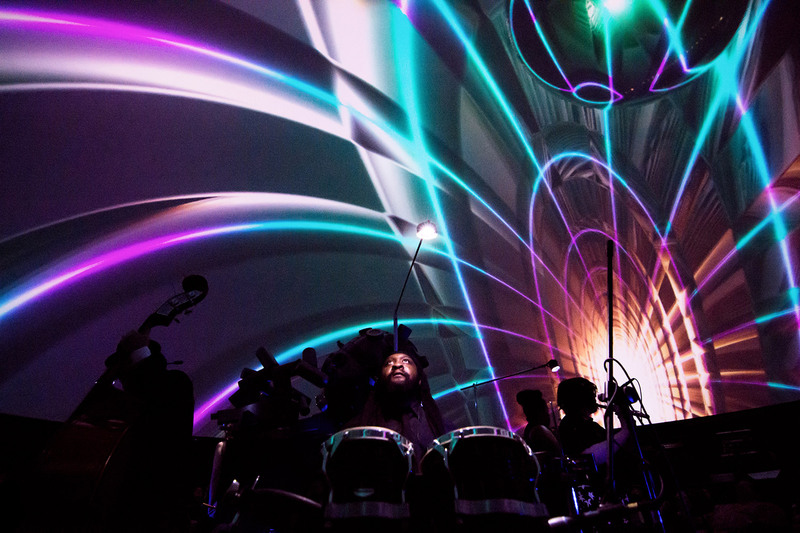 By combining complex visuals and intense music, the audience danced in the dome while gazing into infinity. It was a special experience and something I’d love to do again. 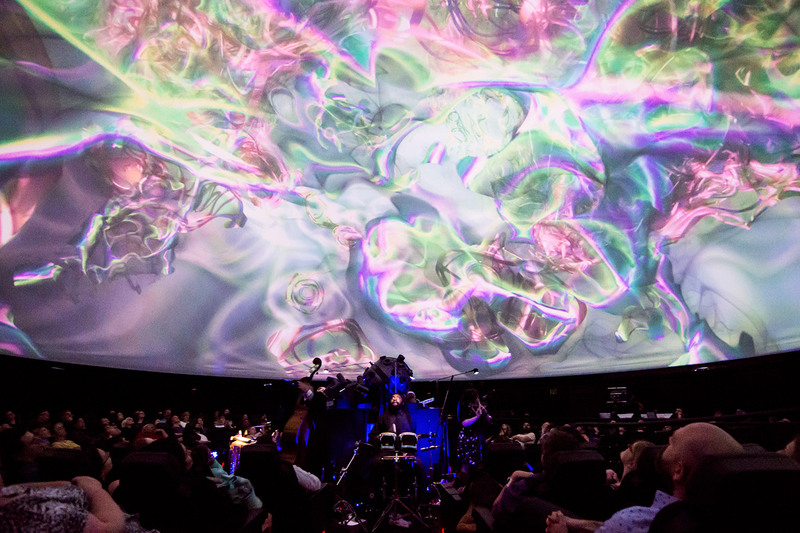 Below is a video recording of the dome visuals and musicians performing. 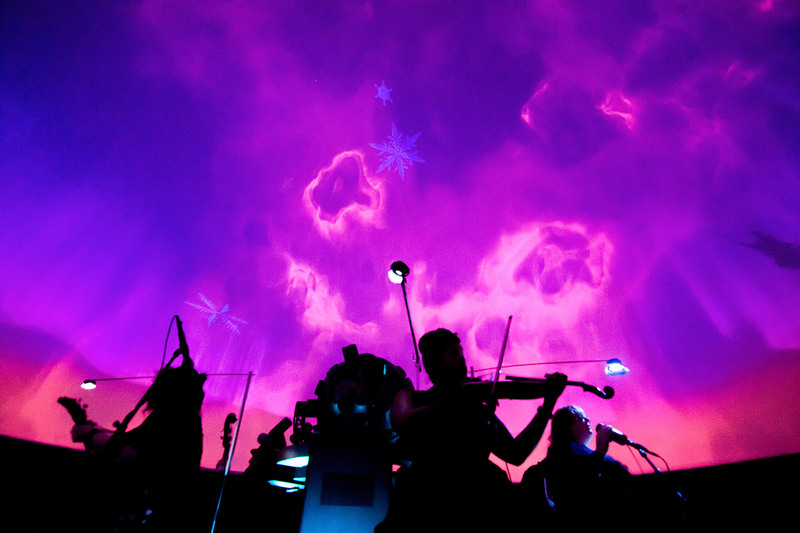 Synesthesia Suite: Constellations /// We invited Mary Bichner and the Planetary Quartet to perform live in the planetarium with her wonderful classical-meets-pop style. Since Mary has synesthesia, we applied her music notes to create visuals which allowed you to “hear” color and “see” sound just as Mary does when she listens to music. 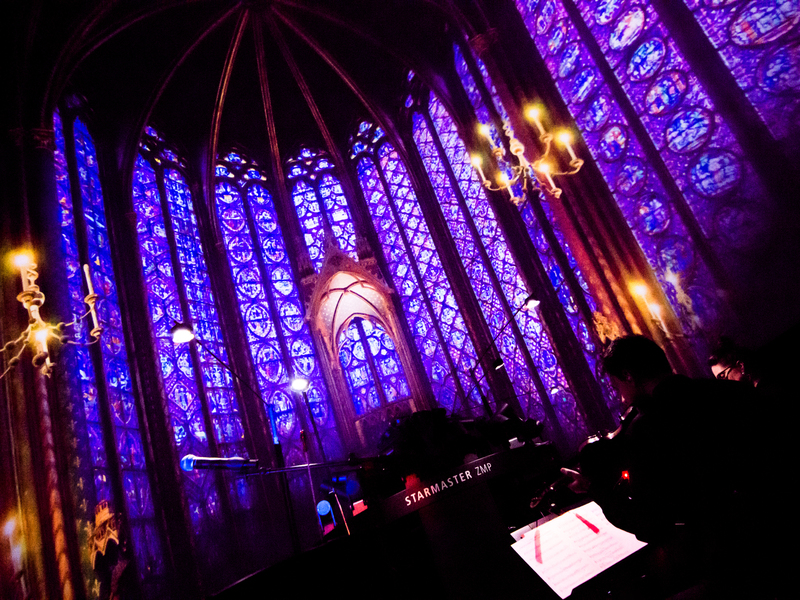 She also composed a brand new set of pieces which were premiered at this concert. 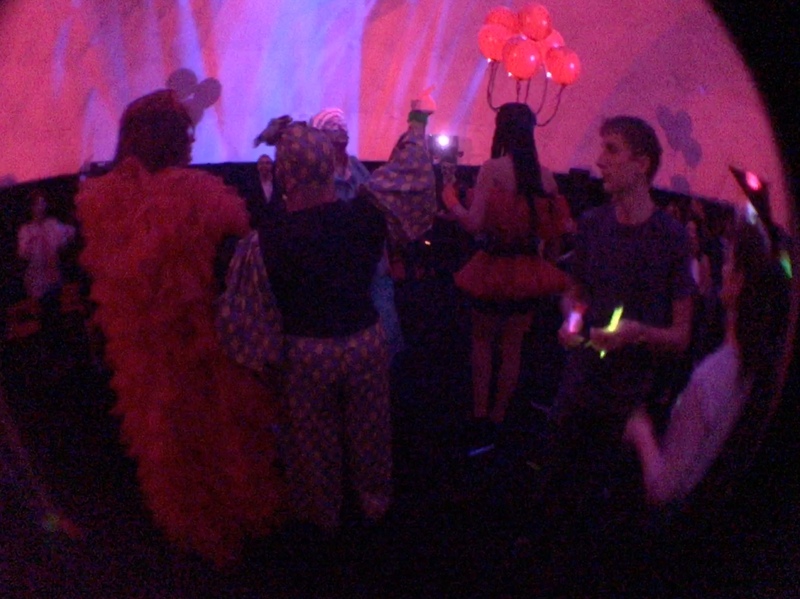 Below are two different 360 music videos from the show. 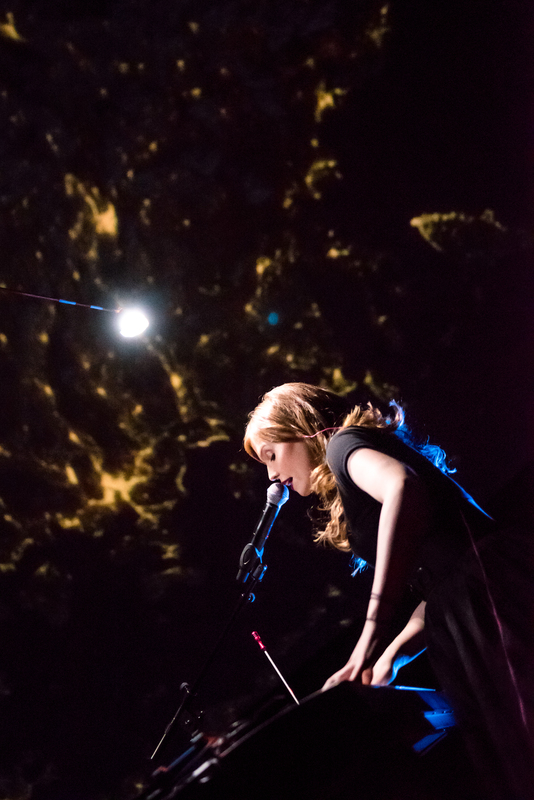 Stories Under the Stars 2017: Planet Tales /// This was our second collaboration with Ari Daniel where we combine live storytelling, radio, and live music to tell personal stories. 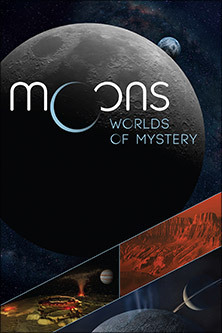 We focused on true stories (some astronomy-related, some not) that explored the theme of “Planet Tales”. 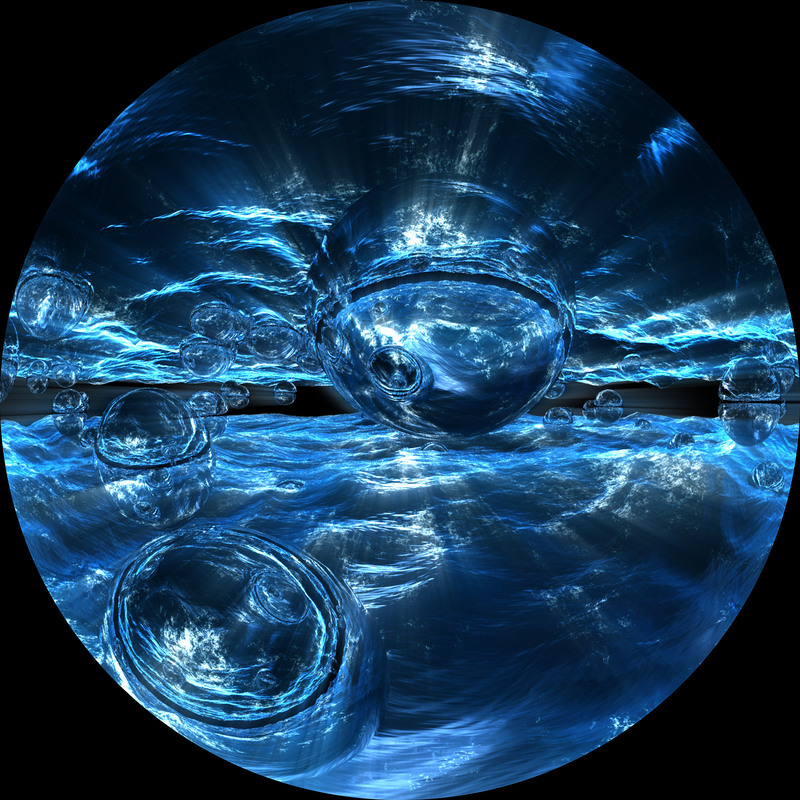 Each story involved a different planet, spinning off stories of discovery, deep loss, and forgiveness. 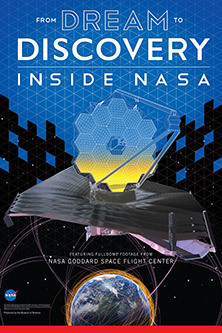 I think it was a moving experience since it weaved together science and personal stories into a potent blend. 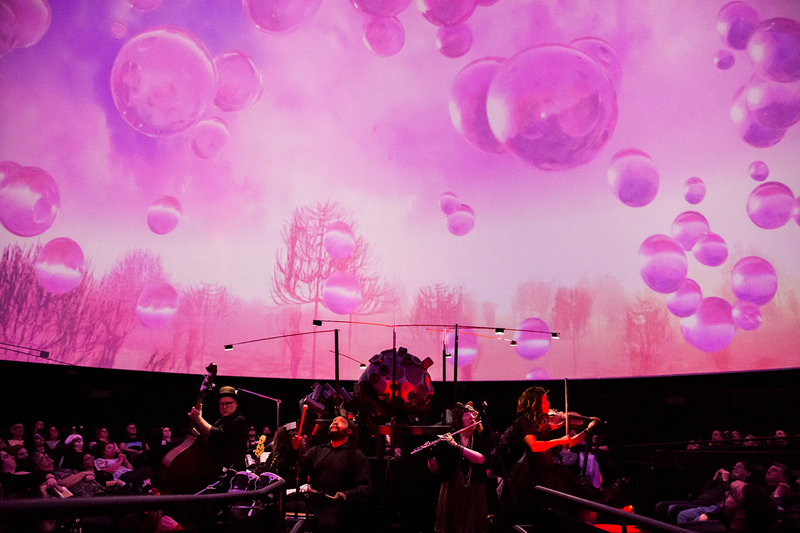 The Boston Choral Ensemble: Cosmos /// The Boston Choral Ensemble continued their 16th season by returning to the planetarium for a three evening run of performances. 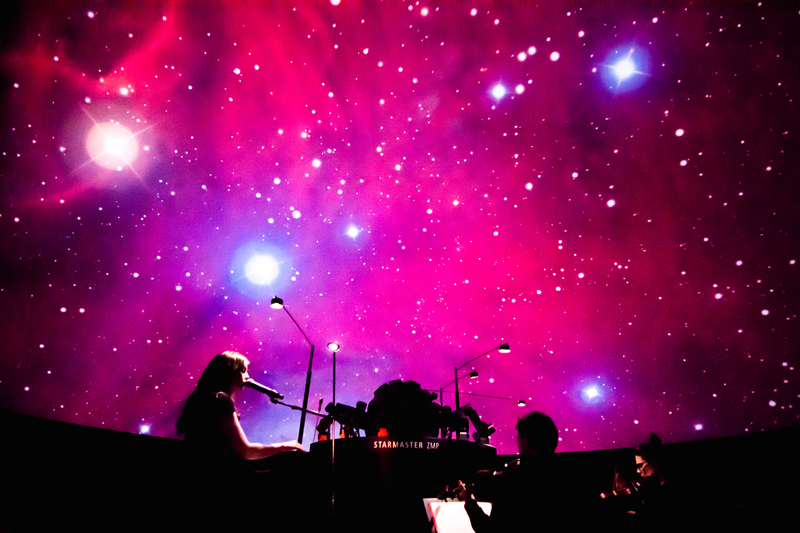 We paired astronomy visuals to match the different songs which the choir performed live. Music by Ēriks Ešenvalds, Randall Stroope, Ola Gjeilo, and other composers. 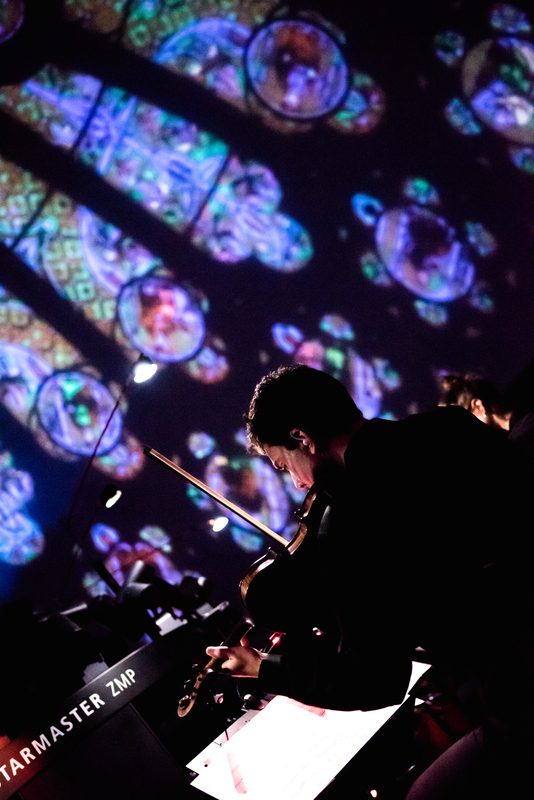 The concert also included the world premiere of a new work by Stacy Garrop. 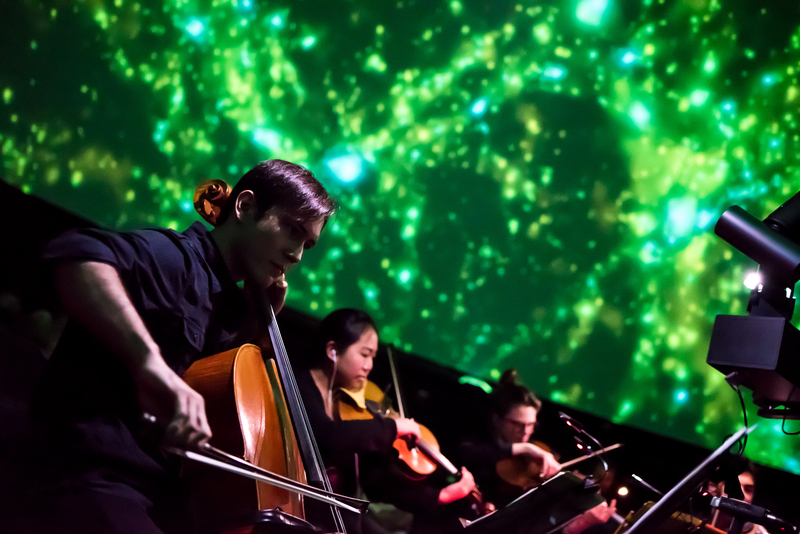 MassArt: Uncharted Domain /// During the spring semester at the Massachusetts College of Art and Design, students created a fulldome show and then premiered it in the planetarium. The show explores the topics of memory, transformation, and the outsider. 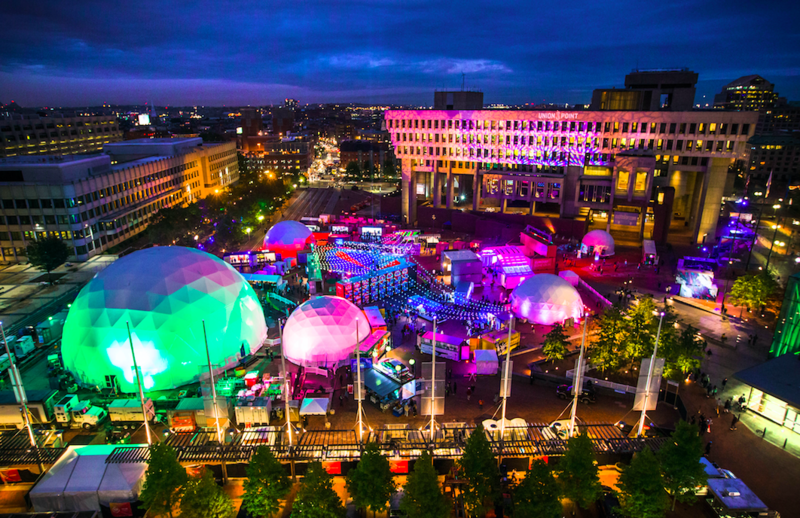 In less than 5 months the students collaborated on all aspects of storytelling, concept development, video shoots, surround sound design, and 4k fulldome production. 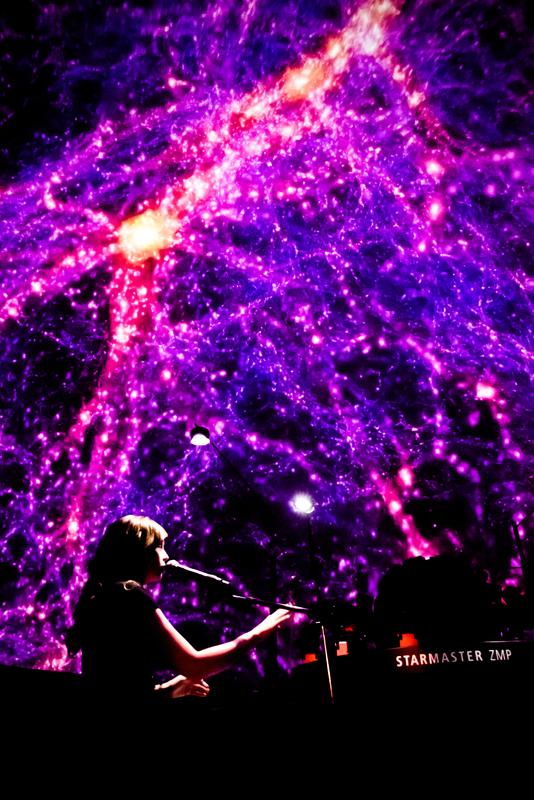 Beyond the Telescope: A Universe of a Different Color /// Pink planets and green galaxies? Is space really so colorful? 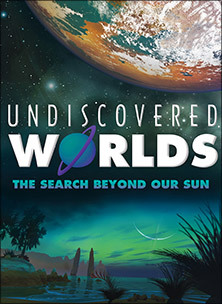 Kimberly Kowal Arcand, visualization lead for NASA’s Chandra X-ray Observatory, shared her thoughts of the universe in different parts of the spectrum and what can be found when we look beyond what human eyes can see. 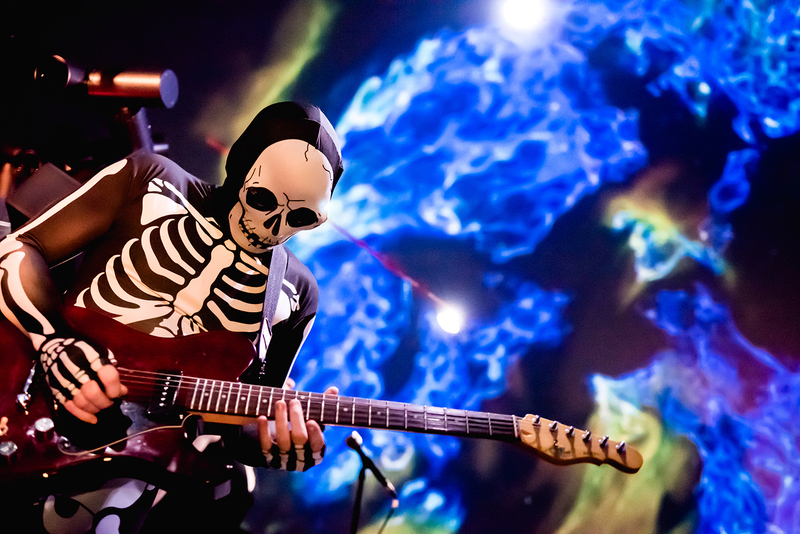 Walter Sickert and the Army of Broken Toys /// For a special Halloween performance, we invited these local legends to come back to the planetarium for an epic show. 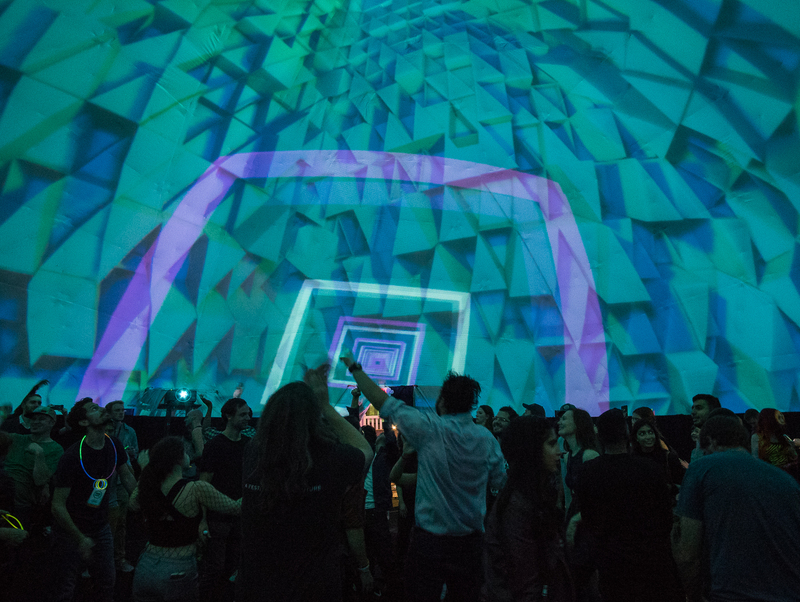 This was one of my favorite events of the year since their music is top-notch, creating the dome visuals is a blast, and their performance energy brings everything together into an grand immersive experience. 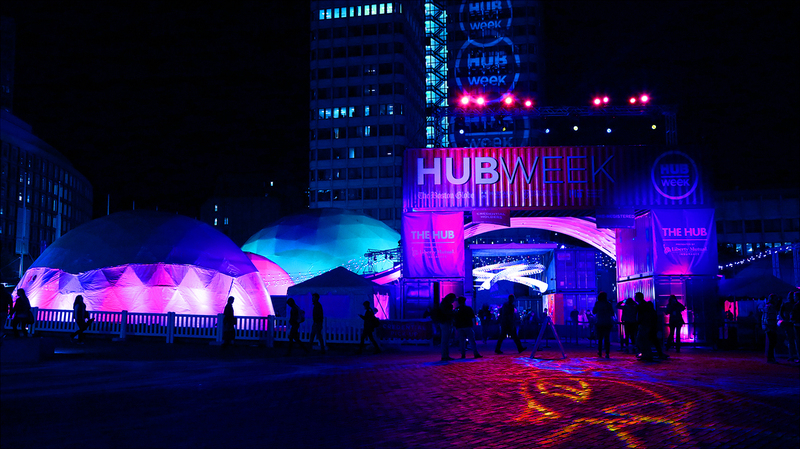 We traveled to South by Southwest 2017 to present a session: Making a Live Storytelling Show for a Planetarium. 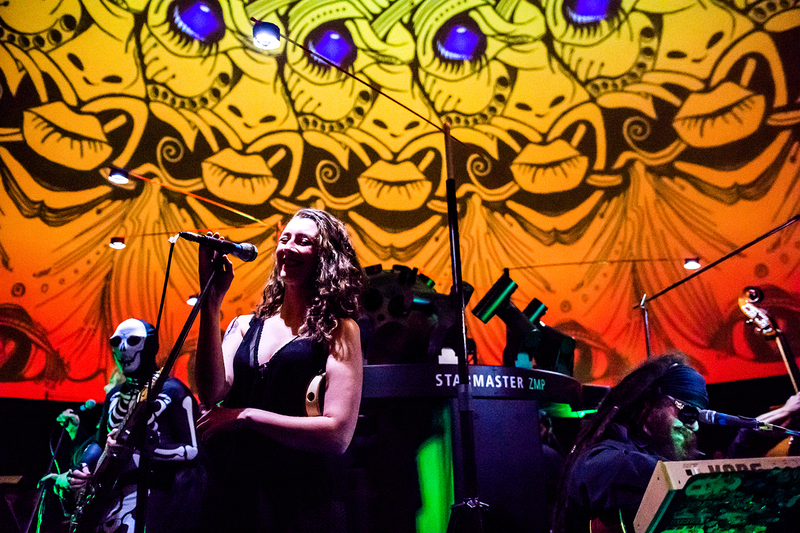 We shared behind the scenes of a show we had produced called Stories Under the Stars 2016: Light in the Dark which featured a mashup of live storytelling, radio, and music among the immersive visuals of the dome. The theme was Light in the Dark — a search for light from the outer reaches of our universe to the inner reaches of the human heart. 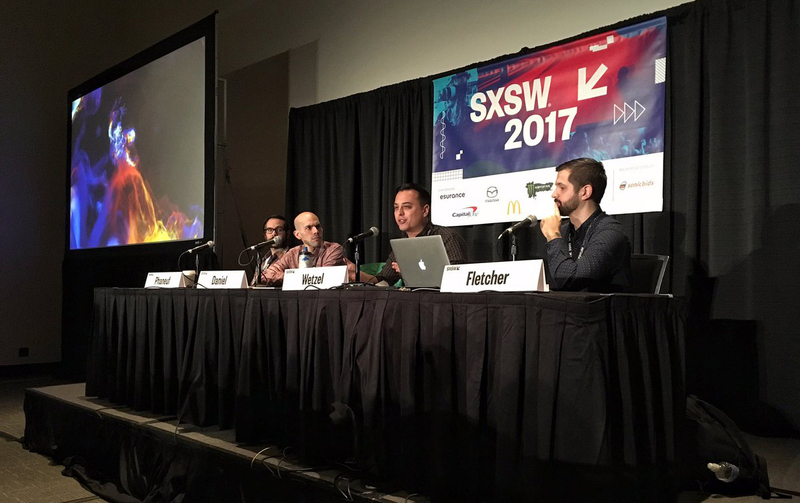 In the SXSW session we shared about development of the show, performed excerpts, and discussed how to create moments of tenderness, learning, and awe. The panel format worked well since creating a immersive storytelling experience required diverse skill sets and so each person had a unique perspective on what they thought was challenging and interesting. We released three shorts from Stories Under the Stars 2016. So far we’ve been showing these dome pieces at planetarium conferences, but we also made VR versions which can be seen below. Orange Sky /// A childhood memory of a particular orange-hued sky leads Amal Rahmeh on a search for that color years later. Illuminating the Universe /// Light has been a defining feature of our universe since the very beginning. In fact, at first, that’s all there was. Blue Wash of Light /// When is it that we see our first glimmer of light – the instant we’re born and we tumble into the world, or at some other moment? This entry was posted in Fulldome. Bookmark the permalink.